It can be enough to push some people at risk of an eating disorder into the throes of the disease, according to a University of Alabama at Birmingham psychologist. 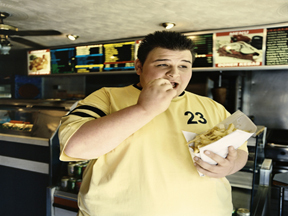 While eating disorders are most often associated with women, more than 1 million men in the United States have anorexia nervosa or bulimia nervosa, and almost as many men as women are binge-eaters. More than 24 million Americans of all races and ages suffer from eating disorders, which have the highest mortality rate of any mental disease. Boggiano says genetics play a significant role, and people whose parents suffer from anxiety, depression or substance abuse are at risk. Environmental factors, such as concerns about body image, can lead to behaviors like restrictive dieting, which, in turn fuel the disease. Boggiano encourages parents to discuss things positively and never use the word “diet.” Students are inundated with unhealthy food options, so focus on ways to eat healthy both on and off campus. Better food means better health and better cognitive performance in the classroom. Currently, the American Psychiatric Association recognizes two eating disorders: anorexia nervosa (self-starvation) and bulimia nervosa (binge-eating followed by purging). Boggiano, associate professor in the UAB Department of Psychology, is part of a group of eating disorder experts nationally that is advocating for the APA to recognize binge-eating disorder in the fifth edition of the Diagnostic and Statistical Manual of Mental Disorders, scheduled to be released in May 2013, with the hope that insurance will cover treatment. She says the biggest mistake in recovery is trying to overcome the disease alone. Treatment is available, but it is not an overnight solution. It can take anywhere from five years to a lifetime to beat an eating disorder; 20 percent never beat it and die from complications related to the disease.